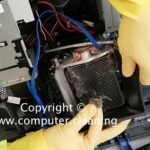 Computer Cleaning Checklist is a type of informational job aid used to reduce failure by compensating for potential limits of human memory and attention. It helps to ensure consistency and completeness in carrying out a task. A basic example is the “to do list.” A more advanced checklist would be a computer cleaning schedule, which lays out tasks to be done according to the time of day or other factors. A primary task in the checklist is a document of the task and auditing of the documentation. Is the purpose of statement documented? Is the scope of cleaning work being identified and documented? Are the number of computers, keyboards, monitors, telephones, etc. being identified? Is the location of work known? Is the cleaning site accessible? Is the site contact know? 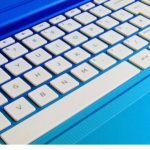 Is the site contact accessible? Is the period of performance known and being agreed? Is parking available at the customer site? Are there any special requirements to work at the customer site? 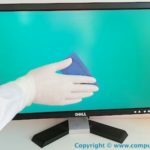 Does the computer cleaning requirements outline any industry special regulations? Is the acceptance criteria being agreed? Is cleaning contract being raised and agreed? Is payment schedule being documented and agreed? Are any miscellaneous being understood and documented? Is the required number of cleaning staff available? Is the cleaning scope understood by the cleaners? Is transportation to the customer site being arranged? Are all cleaning tools available? Are all cleaning products available? Is health and safety procedure understood? Is the cleaning authorisation being signed by the customer site contact? Does the site supervisor check the cleaning quality before closure? 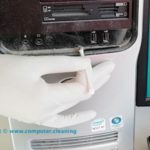 Does the customer check the cleaning quality before closure? Does the customer sign the cleaning job completion papers? Does the customer is provided with the feedback form?